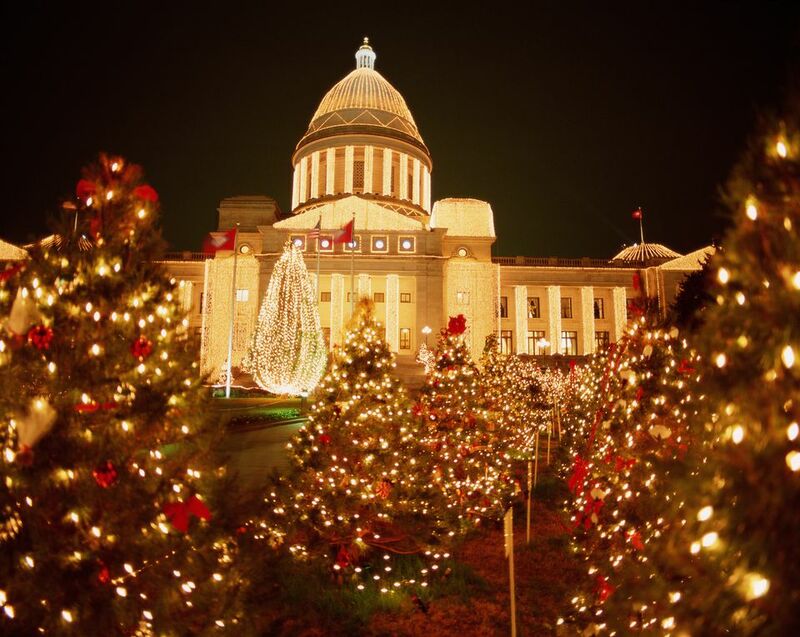 Little Rock is a town that embraces the spirit of Christmas during the holiday season. Among the choices of seasonal events are live theater, dance performances, traditional carolers, Christmas high tea, a visit with Santa Claus and lots and lots of eggnog. Check out one—or all—of the fantastic December fun before the 25th. Celebrating the 40th year of performance, Ballet Arkansas puts on the Tchaikovsky's Christmas classic ballet, "The Nutcracker" at Robinson Center. Back by the Arkansas Symphony Orchestra, the recital runs from December 7th until December 9th, with an evening and matinee performance on the last two days. Tickets start at $20.00. The jolly old elf makes a special stop on Sundays throughout December at the Capital Hotel hear the wee ones Christmas wish lists. Before or after the visit, stop by the Capital Bar & Grill for some holiday treats and seasonal libations off the custom menu. St. Nick is in attendance Sunday, December 2nd, 9th, 16th and 23rd, from 2:00 p.m. until 4:00 p.m. If you can't have Christmas without eggnog, the Ever Nog-Off at the Historic Arkansas Museum is a holiday must-do. Visitors can sample a wide variety of the sweet drink from classic recipes to modern twists and then vote on their favorite. Home mixologists proud of their concoctions can sign-up to compete with others to win the honor of the best nog in Little Rock. The American Christmas is filled with customs that date back to the Victorian era, and the Grand High Tea and Tour in the Quapaw Quarter downtown recalls those days of yore. The Victorian-era Hornibrook Mansion, now the Empress of Little Rock Bed and Breakfast, is the scene of the grand high tea, which will be followed by a tour of the house and a talk about Christmas customs in the 1890s. Tickets start at $50.00 each and seating is limited. Music lovers who like their Christmas carols jazzed up and rocking can groove to the tunes of "Home for the Holidays" at the Robinson Center in downtown Little Rock. The Arkansas Symphony Orchestra, featuring soprano Maria Fasciano and tenor Vernon Di Carlo, takes to the stage at 7:30 p.m. on December 14, 15, and 16th. Tickets range from $16.00 to $68.00. It wouldn't be Christmas without hearing the traditional carols. On December 7th, at 7:00 p.m. and 9:00 p.m. the Arkansas Chamber Singers belt out the classics of beloved carols and other seasonal music at the Old State House downtown. The show is free, but reservations are required. An annual tradition, the downtown parade features marching bands, floats, cars, a few reindeer—and the required appearance by Mr. and Mrs. Claus. The route starts on Saturday, December 1, 2018, at 3:00 p.m. at Broadway and 2nd and finishes at the State Capitol. Admission is free.